Christine Hill, What Do Patients Want? Psychoanalytic Perspectives From the Couch, London, Karnac, 2010. 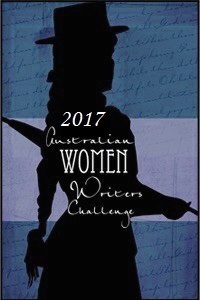 I have been engaged on another project now near completion enough to free myself for the Australian Women Writers Book Review Project. My second review, Christine Hill’s What Do Patients Want? also fits the theme of this blog, about psychoanalytic theory and practice within Australian and Western Pacific culture. I have been familiar with this work since its inception over a decade ago. Christine has presented excerpts and research in progress at various workshops and meetings so to see the completed project and to take the opportunity to introduce it through this review. is fitting. The ‘blank screen’ of the analytic stance, the position taken by the analyst such that the patient projects imagos from their inner world for understanding and analysis, has been a central area of debate and discussion amongst psychoanalytic practitioners during the twentieth century. The patient’s transference, good, bad and indifferent, was the central consideration in the analytic dyad. The analyst’s authority was assumed, the power structure, a given. The inner world of the patient was the object of analysis. And so it developed, more or less, throughout the first half of the twentieth century, as Freud worked to establish the principles of the psychoanalytic discipline and to stamp his authority upon it. Those who challenged him, Jung and Adler in particular, were excommunicated. Stekel and Rank highlighted the need for boundaries so that treatment could proceed. After all, Freud argued psychoanalysis aimed to reach the heart of psychosexuality and to understand disturbances in its development – without the analyst acting upon it. It is a medical paradigm, modelled on the traditional doctor- patient relationship. The assumption was that the doctor’s neutrality can be sustained despite the vicissitudes of the treatment relationship. This medical model is under scrutiny – and question – in Christine Hill’s book, What Do Patients Want? Psychoanalytic Perspectives From the Couch. During the 1950s the ‘blank screen’ principle began to buckle as the notion of countertransference began to emerge as a tool for practitioners. Paula Heimann’s 1950 paper, ‘On Countertransference’ initiated a long and continuing discussion about the affective relationship between patient and analyst, urging that the analyst’s response, her countertransference be utilised towards understanding the patient’s mind. After all, it seemed, the patient was attempting to recreate her world,and to sustain her life patterns. Perhaps the analyst’s response, her recognition of these projections and ability to discuss these with the patient, was helpful. Nevertheless the essential power structure remained. And as Hill notes, the potential for misuse was real. At worst the doctor/analyst assumed authority over the patient’s mind; maintaining their knowledge of it greater than the patient’s own. To quote Freud in 1912, ‘When there is a dispute with the patient whether or how he has said some particular thing, the doctor is usually in the right’. (Hill, p.4) This is not to say that the knowledge base and its applications in psychoanalysis have not been useful for patients struggling with difficult childhood memories and patterns. The understandings wrought by a sensitive analyst who can meet the patient on their own terms, can be incredibly useful. Indeed, insights from work on early infant development, attachment, loss, as well as developing sexuality, can assist meaning making, the building of a self narrative that is reflexive, empathic and sustaining. Nevertheless it was arguable until recently that even asking the question, What do patients want? or to suggest that people who become analytic patients have an understanding of what it is they may seek, was taboo. How could they know? It challenged the notion that the analyst knows, or should know, best. Despite this Hill was accepted for an International Psychoanalytic Association Research Training Program in 1999, an experience ‘which gave me the confidence to continue’ and to find others who could ‘think about the actuality of [an analysand’s experiences] and did not perceive me as attacking analysis’. ( p. 153). Hill’s project, in part, echoes that of intersubjectivity theorist and psychoanalyst Jessica Benjamin who has written of the difficulty in all of us in being able to sustain the tension between subject and subject without capitulating to subject and object. Indeed, mentalisation theory and practice – developed by Peter Fonagy and his group at the Anna Freud Centre in London, also suggests a deepening theoretical shift towards intersubjectivity within the psychoanalytic field. Perhaps there are those in Australia who need to read more widely, or who have become far too married to the classical model of psychoanalysis to see that anything else might be beneficial. Case studies written by people who have had an analysis, whose experiences varied from gratitude to anger to disappointment, suggest that patients do have experiences of the other/analyst’s subjectivity. After all, they are people, too. There was care in the selection of interviewees for this project. Hill recruited 18 people who had completed analytic treatment – comprising a range of 15 years. Confirmation was sought that the analyst in question was a member of one of three schools practising in Australia: The International Psychoanalytical Association, The Australian New Zealand Society of Jungian Analysts and the Lacanian school, the Australian Centre for Psychoanalysis. Age range of the eleven women and seven men was from thirty-one to sixty. Thirteen were themselves working as psychotherapists, three in allied health and the other two in the public service. One had commenced a second analysis – and so was excluded from the project. others had received some form of treatment prior to analysis. Perhaps Hill was still responding to her critics when she writes ‘Most of the patients interviewed showed considerable sophistication in their thinking about their analysis and, thus, their stories cannot be lightly dismissed’. (p.13). “I had made decisions about how it was going to be for me and was clear that what I was going to negotiate with the analyst… Right from the word go I wanted it to be as much in my territory as it was in the analyst’s. And I wanted to be a patient-partner; I didn’t want to be a patient victim’. Others similarly eschewed the rigidly classical style – it did not feel safe; the analyst seemed to be too intellectual or not able to empathize fully with the patient. Other factors included experience, finances ( In Australia the medical fraternity are fully subsidised by the public health system), geographical proximity, the ability to understand and maintain boundaries – and serendipity – choosing at random from the phone book. For several analyst’s physical space was an important factor ..the dirty waiting room; the ‘mansion’ in which one analyst had a consulting room was a subject for comment. Perhaps some patients, sensitive to the authority of a ‘doctor who knows best’, found interpretations delivered in the pejorative mode to be off putting. Others may have found a particular analyst ‘too soft’. Choice of analyst is a personal, if not idiosyncratic matter, Hill is discovering. Many of those who become analytic patients clearly put much thought into their choice of practitioner. Perhaps it is a reflection of the late twentieth century world that the ‘doctor’ is no longer to be reified, nor the patient subject to ‘whatever is available’. Hill covers in detail the analytic process encountered by her subjects – engagement, working in the transference, the paternal transference and ending the analysis. For some the experience was good: the capacity of the analyst to hold the patient through times of incredible psychic terror was noticed and important. Others experienced interpretation as an abuse of power: ‘He would make these interpretations to me how I was resisting, I was withholding, I was not willing to give in’, one interviewee noted. ‘I wanted to give. And I felt that every time I opened my mouth that there wasn’t a reflective space for me to develop those ideas’. ( p. 63). Hill explores the nuances of the analytic relationship with care and sensitivity – understanding and respectful of the interactions the interviewees are trying to relate. Listen to this, from page 90 of the book. Psychoanalysis is a complex project. It involves, for some, a years, if not decades, long committment and within it experiences of varied complexity and emotional intensity. It holds the possibility for a reworking of old conflicts, a re-learning about living. For others it is a disappointment. Always it is a considerable investment of time and money. It is a serious and long term committment for patients – and for analyst. Work concerns how to understand who is doing what to whom? At bottom, for patients and analysts alike, is the intersubjective encounter that inevitably occurs. The patient’s experience of the analyst as human being should recognised Hill is arguing. Some analysts are rigid in their approach, others not. They are not, by definition, always right.But those who practice psychoanalysis want to provide help as much as people who become patients seek their help. Through giving ‘patients’ space to tell their stories of their analytic experience, Hill has uncovered the complexities and questions that may well haunt anyone who has been through such an experience – even those who are now practising as psychoanalysts. There are more questions than answers here – about analysts, about patients, and the meaning of the experience in one’s life. The humanity within this book testifies to that. When I commenced this blog last August I posted about the Australian psychoanalyst Ivy Bennett. She was born in Wagin, Western Australia in 1919. Through sheer determination and a British Council scholarship she travelled to England in 1946. Through a series of connections she was one of the first people, if not the first, to train in Child Psychoanalysis with Anna Freud. In 1953 Ivy returned to Australia and set up a practice as a psychoanalyst near Kings Park in Perth, Western Australia. She had frequent communication with psychoanalytic professionals in the Eastern States and remembered the warm reception she received from Clara Lazar-Geroe at the Melbourne Institute of Psychoanalysis.She returned to England for further training in 1958, married and eventually moved to Kansas in the United States. During 2011 I had a brief correspondence with her. Although she was ill, she wrote me a long letter outlining as many memories as she could about her life and the psychoanalytic scene she during the 1950s. I have recently learned that Ivy Bennett ( Ivy Gwynne-Thomas) died on 2 December 2011. I have copied her obituary here. 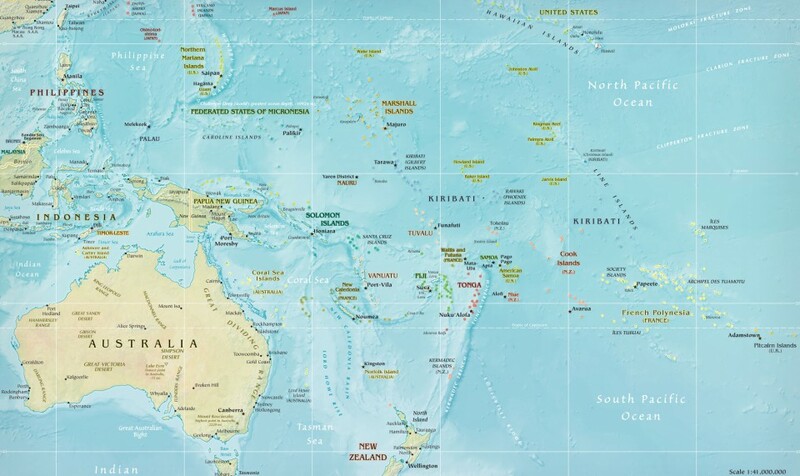 The basis of this blog, Freud in Oceania, is the influence of Freud’s ideas within Australian culture and history. There has been some comment in the Australian Press that La Trobe University, my alma mater, had pulled Australian History this year due to low enrolments. It seems that, to the contrary, the subject is alive and well, building on the work of creative historians such as John Hirst, Richard Broome and Marilyn Lake among others. How Australia has found its way into the modern world is an extremely complex story. I am reblogging this post from the La Trobe University Bulletin for your interest. Will our next generation end up knowing enough about the land they live in and what it means to be Australian? That question has become an early contender in public debate about the possible long-term impact of student course choices under the new demand-driven higher education system. While he admits Australian history may no longer be the most popular area with some of today’s students, La Trobe Dean of Humanities and Social Sciences, Tim Murray says: ‘It is important for us as a nation that students have a good grasp of our history’. The challenge for educators, he adds, is to change any such perceptions by redesigning courses that make Australian history more relevant for students in the 21st century.